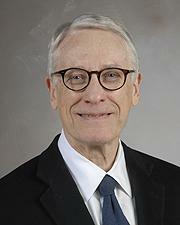 The American College of Cardiology (ACC) will award K. Lance Gould, M.D., professor of cardiovascular medicine at McGovern Medical School at The University of Texas Health Science Center at Houston (UTHealth), its 2018 Distinguished Scientist Award-Translational Domain in honor of his contributions to the cardiovascular profession. The ACC will honor Gould for his achievements along with other 2018 Distinguished Award winners March 12 at the Convocation Ceremony during the 67th Annual Scientific Session in Orlando. The Distinguished Scientist Award-Translational Domain is awarded to a Fellow of the American College of Cardiology who has made major scientific contributions to the advancement of scientific knowledge in the field of cardiovascular disease. The award is given to three recipients; one in each of the basic, clinical and translational domains. Gould is the Martin Bucksbaum Distinguished University Chair in Heart Disease at UTHealth. Nearly 20 Distinguished Awards will be presented at the Annual Scientific Session this year. Recipients are nominated by their peers and then selected by the American College of Cardiology Awards Committee. "K. Lance Gould's dedication to improving cardiovascular health and enhancing patient care is a testament to his expertise and professionalism," said ACC President Mary Norine Walsh, M.D, F.A.C.C. "Gould's hard work truly shows his determination to make a lasting positive impact in the cardiovascular field. I am proud to present him with the Distinguished Scientist Award-Translational Domain." Gould first began working at UTHealth in 1979 as professor and director of the division of cardiology, and was a founding director of the Positron Diagnostic and Research Center. He stepped aside from administrative duties in 1987 to focus clinically and scientifically on PET imaging and quantitative coronary arteriography for identifying segmental and diffuse coronary artery disease, measuring its severity and reversing it by vigorous risk factor modification. Gould has received various awards throughout his career. He was selected as the Hal Anger Memorial Plenary Lecture for the Society of Nuclear Medicine annual meetings in June 2017. Other honors include the International George von Hevesy Prize for Research in 1978, the George E. Brown Memorial Lectureship of the American Heart Association in 1990, the Simon Dack Award for Outstanding Scholarship in the Journals of the American College of Cardiology in 2011 and the UT Presidential Scholar Award in 2009. Gould has been honored nationally by membership in the Association of American Physicians, the American Society of Clinical Investigation and the Board of Trustees of the American College of Cardiology. He served 11 years as an associate editor of Circulation and is currently on the editorial boards of major cardiovascular journals. He is past chairman of the Council on Circulation of the American Heart Association, and past president of the Houston Cardiology Society.